Zippered shut. Color-coded insides. Hidden pockets stashing crumpled love notes. The interior showcasing your superior academic skills. The exterior plastered with images of Barbie, Hello Kitty or basketballs, expressing your amazing design sense. Remember when trapper-keepers were all the rage? For me, it was sometime between grades third and sixth. The concept so simple, but an absolutely vital social accessory and academic organizer. Well, the trapper-keeper hasn’t died. In fact, instead of delivering insta-popularity in grade school, it’s bringing hope for an organized and efficient home life. 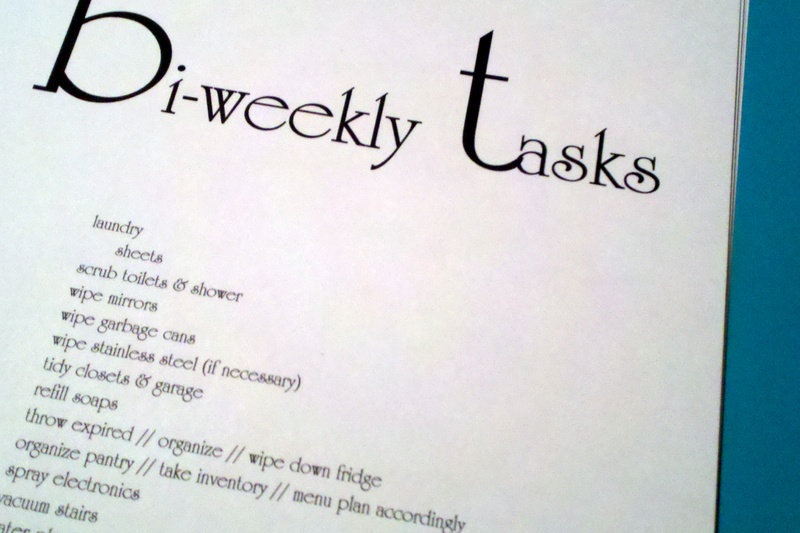 In case you haven’t yet caught on, I must warn you: this post contains a high dosage of organizational tips and tricks. If you’re closer to a type-Z than A, and if words like “simplify” and “declutter” cause your eyes to glaze over, you may want to tune out now. Just sayin’, I go a little overboard sometimes. For those of you who are still with me, congrats. If we aren’t already, we should be buds. 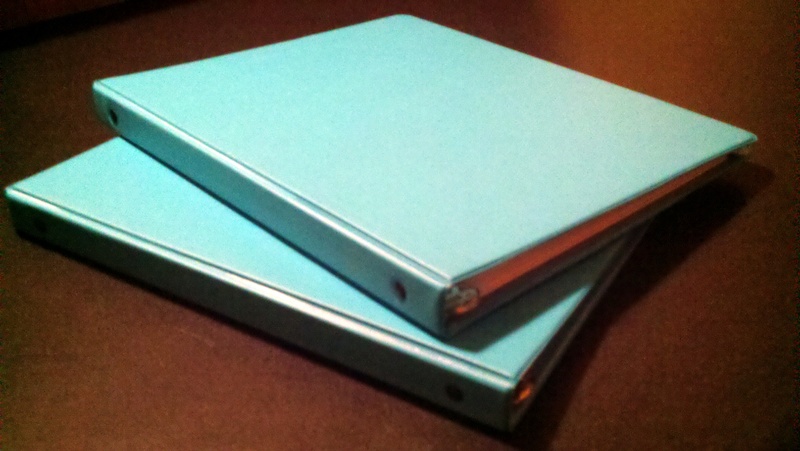 My binders are skinny, hence the reason for two. 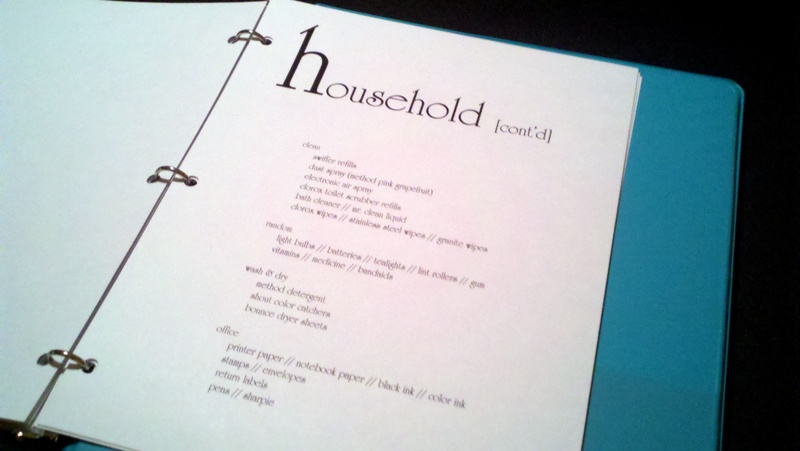 Binder numero uno is devoted to the less personal, more household-focused stuff. 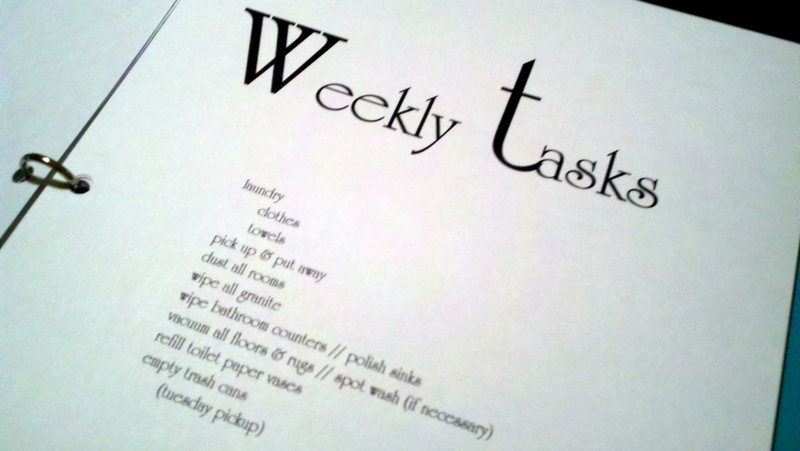 Of course, I don’t beat myself up (well, not too much) if life gets in the way of my cleaning schedule. It serves as a checklist, for the moments where clothes-washing leads to dusting, which leads to trash-emptying, which leads to gutting the entire pantry to find a single garbage bag, which eventually leads to exhaustion… and then the dryer buzzes. 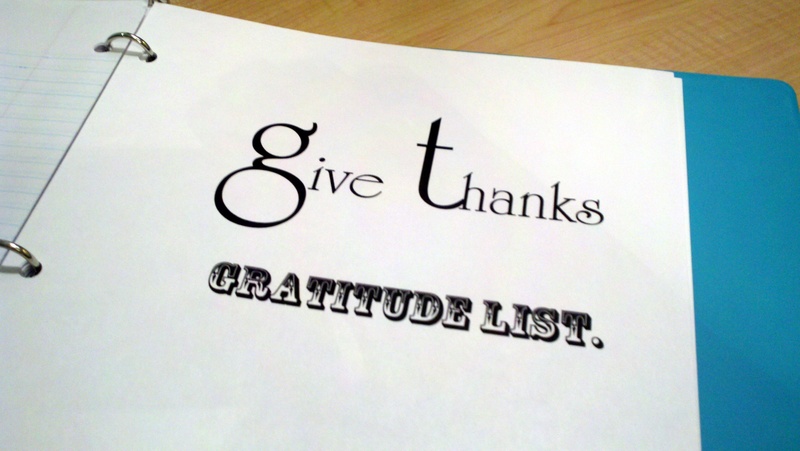 The list is meant to prevent the never-ending-Saturday-morning-cleaning fest which rattles nerves and destroys peace in the home. It’s also meant for more eyes than my own (ahem-Kelby’s). The point of these lists is to avoid multiple trips to the grocery store or Target. You know you’ve done it… where you go to buy shampoo and, soon after returning home, realize you’re also out of razorblades and your mascara’s getting clumpy. It happens to the best of us. But, if I can remember to scan over these lists ahead of time, I may prevent a follow-up errand run. That’s it. Simple does it. 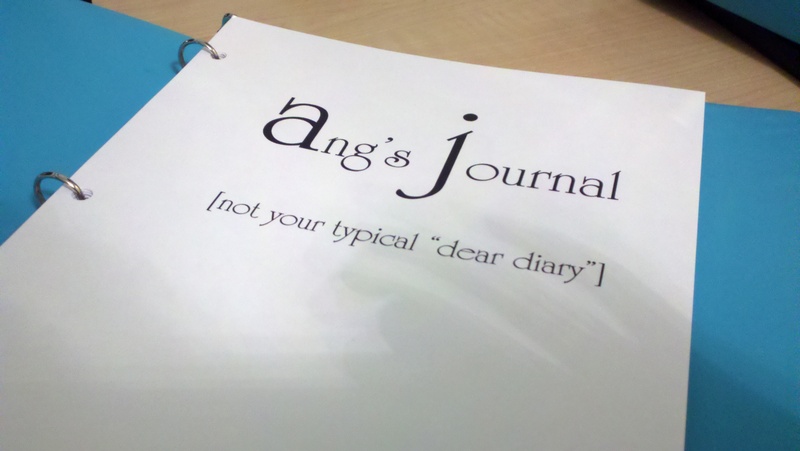 Binders, some cardstock and a pack of loose-leaf notebook paper and, voila! 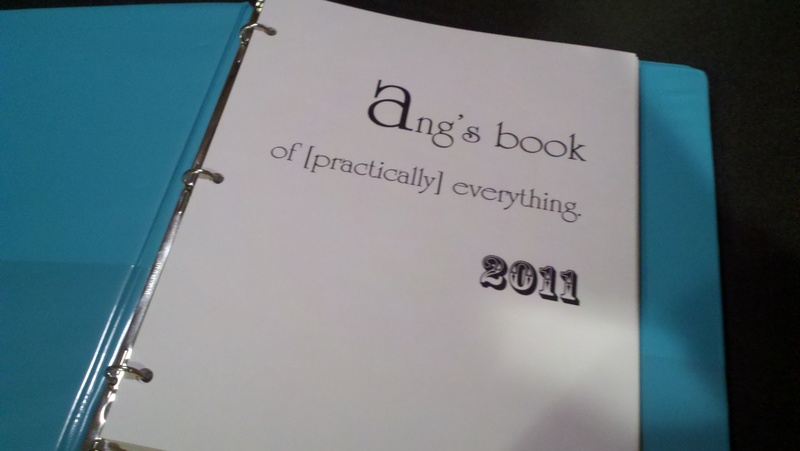 You have one very organized 2011. If you’re rolling on the ground laughing at my OCD tendencies, shame on you. I have a life, I promise. And if you’re inspired to make your own, kudos to you. No matter how much we try to plan and organize our lives, the ultimate truth is that we’re not in control. There’s nothing wrong with being hyper-organized, but there’s no getting around the fact that He’s guiding the pen, writing the story of our lives. If life feels like it’s spinning out of control, don’t turn to a silly trapper-keeper. Look to the Keeper of the stars. Previous Post Resolving to say no. Next Post The joy’s in the doing.